SOFAAR Fabulous Fall Fibre Retreat – Sold out! SOFAAR is pleased to be hosting its first Fabulous Fall Fibre Retreat the weekend of September 29th at the historic Queen Anne Inn in Annapolis Royal. 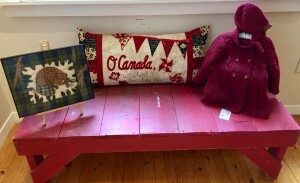 This event is SOLD OUT and the thirty participants will be enjoying a fibre-filled weekend which will include time to work on their own projects with like-minded individuals, a guided tour of the Fort Anne Tapestry, a wine and cheese reception at ARCAC to see the “Oh Canada” exhibit, a delicious catered meal at the Inn on Saturday night as well as time to check out the Farmers and Traders market and the vintage textile exhibit at the O’Dell museum. We are looking forward to meeting all the participants and getting some more work done on our projects! 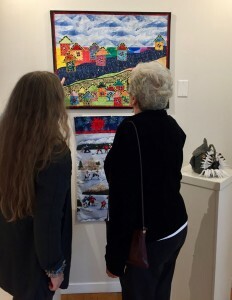 The “Oh Canada – Art of Fibre” exhibit of members’ work is now on at the Chapel Gallery located in the ARCAC Gallery in Annapolis Royal. The show runs now till October 2nd, 2017. 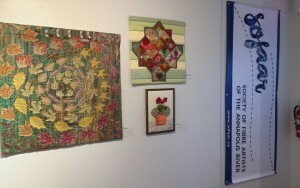 We hope you will drop in and see the varied fibre work on display.